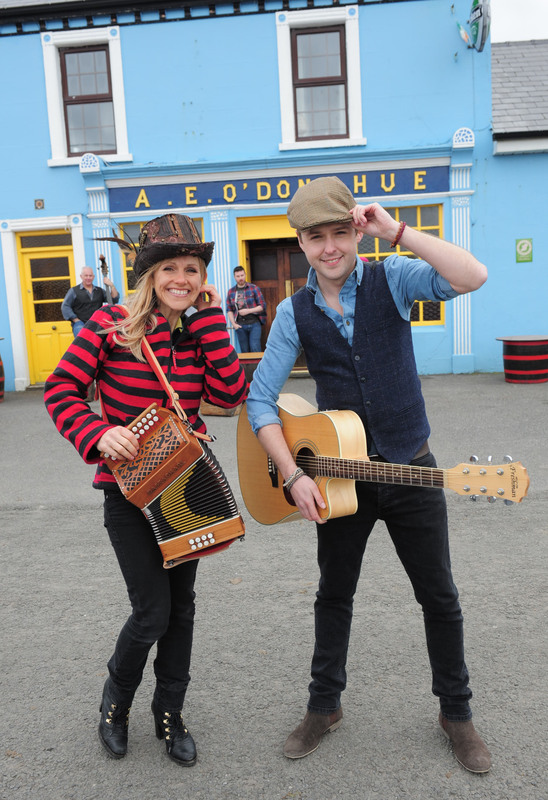 Irish Artist pairing with Irish Accordion Icon to create upbeat, fast tempo hit! Derek Ryan has worked with the Irish country musician to create an unforgettably catchy tune that has its feet firmly planted in the Irish country folk scene. Derek is an artist who after finding success both in Ireland and the UK, with a boy band called D-Side, has returned to his roots to pursue a solo career producing country folk music. His musical influences were such artists as Johnny Cash and also many of the Irish country stars. When quizzed about his upcoming single, Sunday World’s “Performer of the Year” said: “I can’t believe I am releasing a song with the one and only Sharon Shannon! I’ve always listened to her music. She’s worked with some fantastic artists over the years, and she is working with me – it’s unbelievable! Sharron Shannon is an accordion player who has collaborated with many artists from Shane Mac Gowan of The Pogues to Imelda May, not to forget her number one hit “Galway Girl” with Steve Earle. This pair look set to be a real summer treat. 17th July at the Olympia Dublin Theatre. You can get your hands on tickets at Ticketmaster.ie and Armaghgaa.net. Let us know in the comments what you think of the lyrics in Hold onto your hat! We personally think they are really catchy.